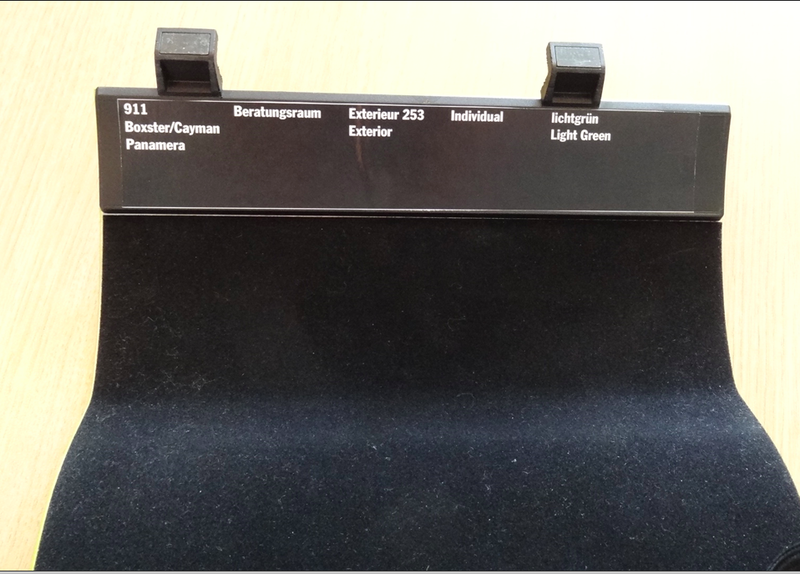 Back in early May of 2013, I assisted DaveC in locating an old PTS color chip of 'Blutorange/Tangerine 018' through my contacts at 'Porsche Exclusive' in Germany (see attached below). 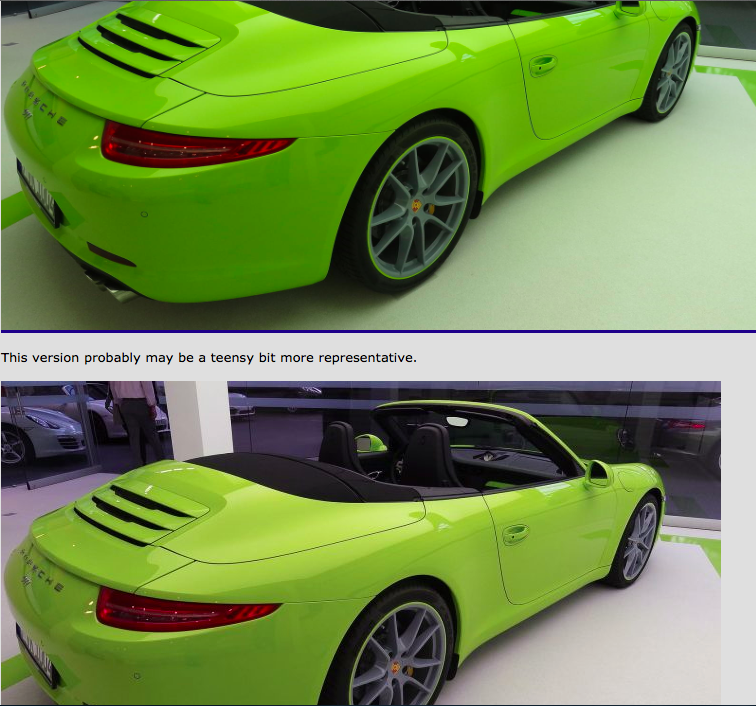 The color apparently failed the fade test, although Dave is speculating that perhaps PAG is keeping it reserved as a future 'Limited Edition' color for a special model (e.g. 991 RS). Regardless, the color has been rejected for PTS. Below I have also attached the last PCNA list of approved PTS colors that I know of. Here' some pictures of a rare (to me) Gulf Orange Porsche 981! Trying again - it seems my attachments were rejected as they were too large! I have reduced size of the pictures drastically..hope it works this time! Steve: If you look at them next to each other, I think 'Pastell' is lighter & brighter and 'Gulf' appears to be deeper & darker! Camera lenses & filters can fool the eye in any photo, but that is my own visual sense re: these two currently available PTS colors. I know which you prefer! I'm still holding out for PTS Cayman in Birch Green for my wife, if Porsche will ever get off the dime and make it available. PTS in Viper Green, Voodoo Blue, Gulf Orange, Fashion Grey, Aetna & Mexico Blue'! By the way, I have to congratulate Porsche Center Glasgow (known as OPC Glasgow/Scotland) for their creative builds. 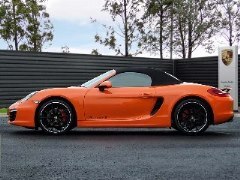 The 'Gulf Orange' Boxster S in hankhoh's post was a car ordered by OPC Glasgow, as well as the following Porsches: 'Viper Green' (shade & sunlight), 'Voodoo Blue', 'Gulf Orange', 'Aetna Blue', 'Fashion Grey' & 'Mexico Blue' 981 Boxsters! These photos were posted recently at Pistonheads Forum in Britain. I have yet to see here in the US any current Porsche 981 model that has been ordered in these terrific colors, other than 'Mexico Blue'! 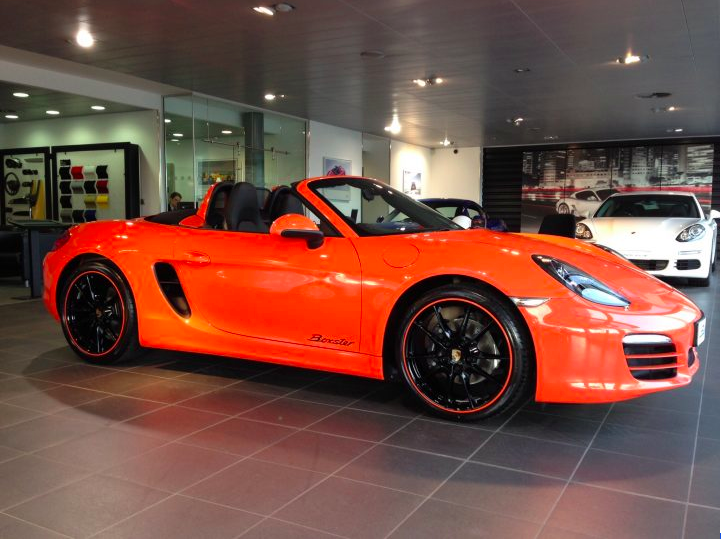 I wish Porsche dealers in the US would get the 'creative' fever and start ordering Porsches in these daring PTS colors! PS At least one 991 has been ordered in 'Aetna/Etna Blue' - custom ordered by a Rennlister & currently owned by another Rennlister! 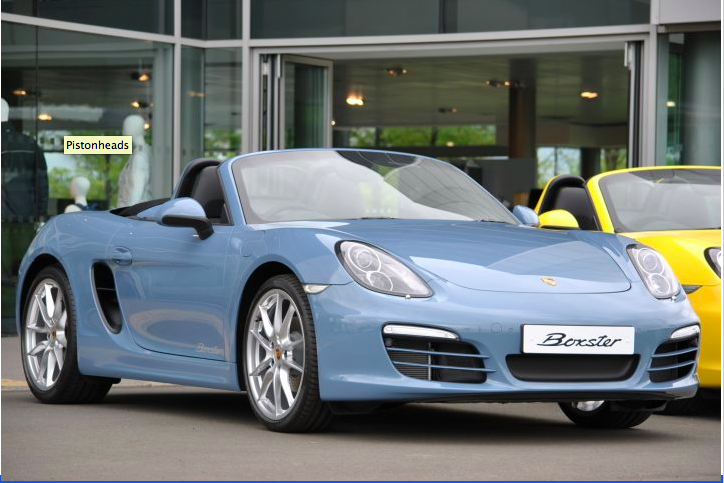 As you know, the reason that Caymans can't be ordered in Paint-to-Sample is that all of them are currently produced at the Volkswagen-owned Karmann facility at Osnabrück. We don't yet know when they'll have the capacity to offer PTS at that plant. 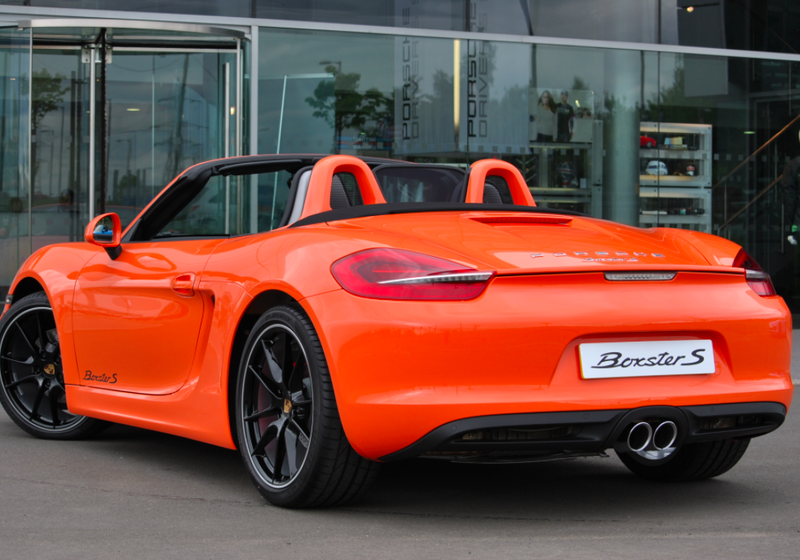 Although some Boxsters are built at Osnabrück, they are also produced at Zuffenhausen. 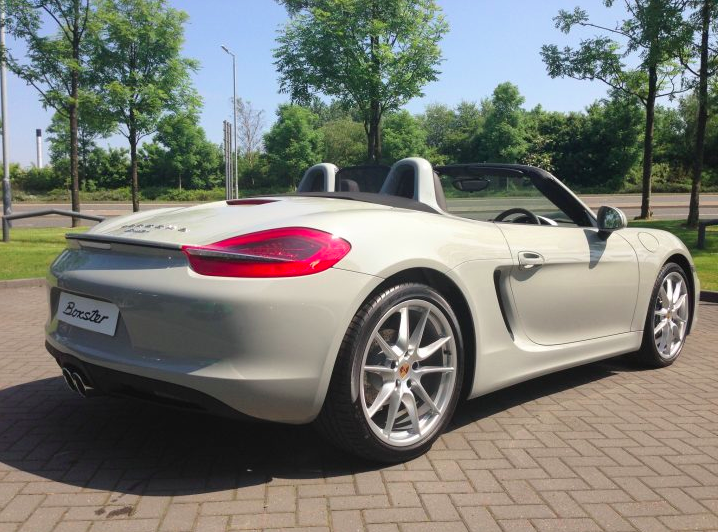 All PTS Boxsters will naturally be manufactured at the latter. 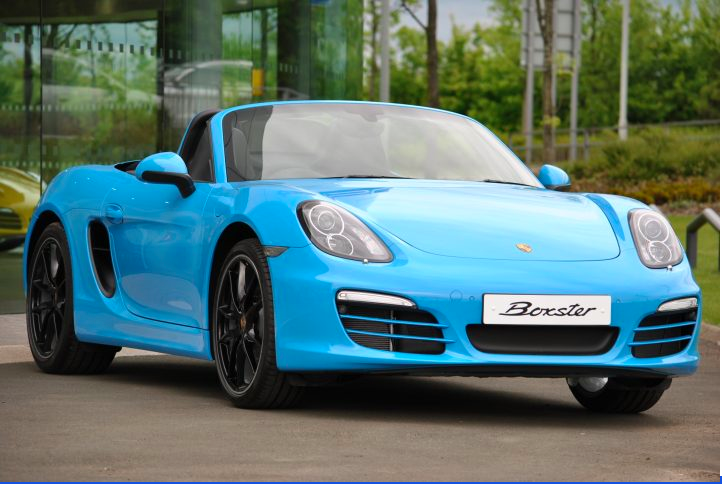 Thus, if you are particular as to the provenance of your Boxster and will like it to be built at Zuffenhausen (for its heritage & prestige), I suggest you considered PTS and/or a heavy dose of 'Porsche Exclusive' options. 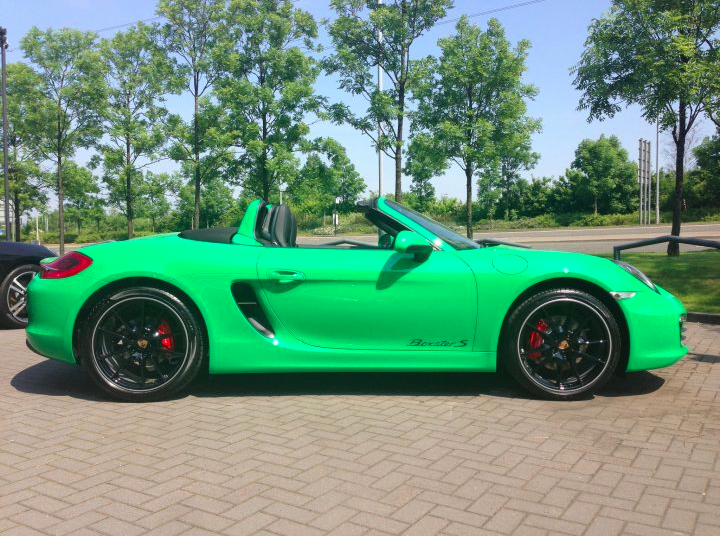 That will surely guarantee that your Boxster will be built at Zuffenhausen...not Osnabrück! 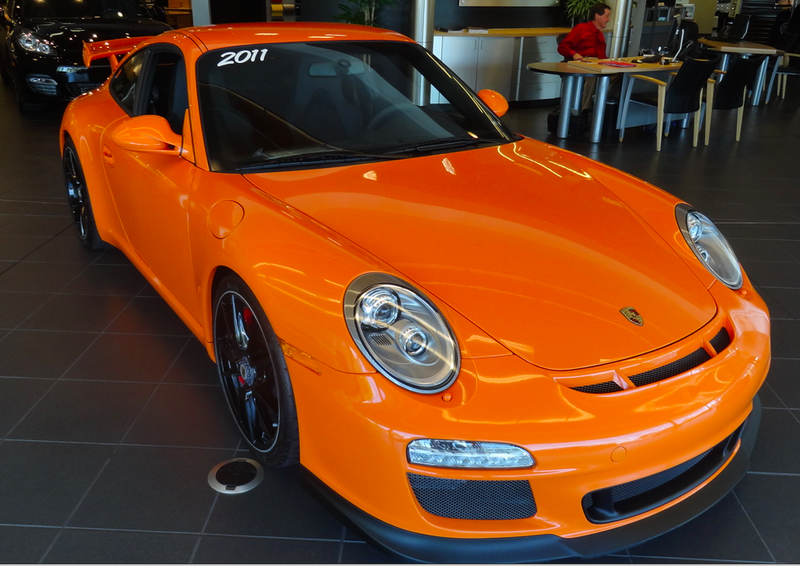 Steve, I am frankly not crazy about either current PTS 'Orange', although 'Gulf Orange' is a historic 911 color that will resonate with many enthusiasts. I am with you on the attractiveness of 'Lichtgrün/'Birch Green'. 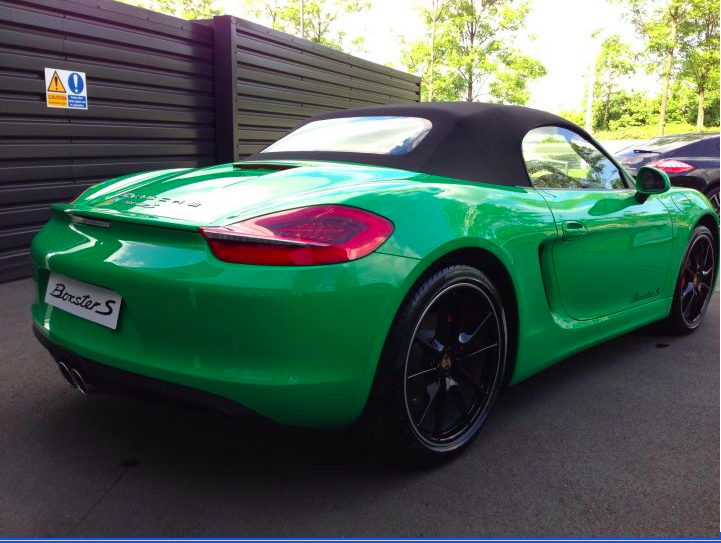 Interestingly, the photo of the 'Lichtgrün/'Birch Green' cab (photo #1) I took in Zuffenhausen last April appeared on the Pistonhead thread where the PTS Boxsters above were featured. And some enterprising guy thought the color contrast on my photo was 'off' and corrected it in his post (photo 2 & 3). I have no idea how he did that (photoshop? )...but it's rather interesting. It may better represent 'Lichtgrün/'Birch Green' as seen by the actual human eye...rather than a camera! 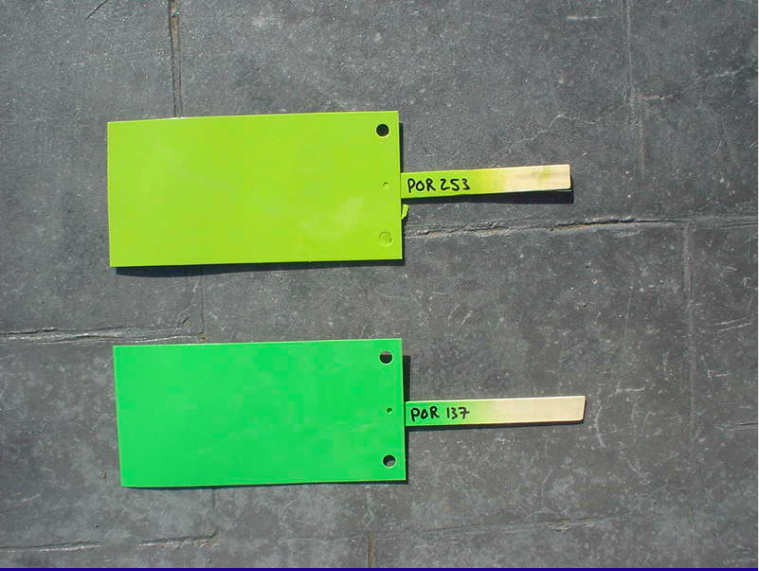 PS Por 253 is 'Lichtgrün/'Birch Green'. The color code for it is '253'. I don't know what color is #137. Last edited by Z356; 03-01-2014 at 09:38 PM. Is that toxic green! Sorry I couldn't resist. Different and I guess someone might enjoy it. Well, it's 'green'. Whether it's 'Toxic', or not, is left to the eye of the beholder! 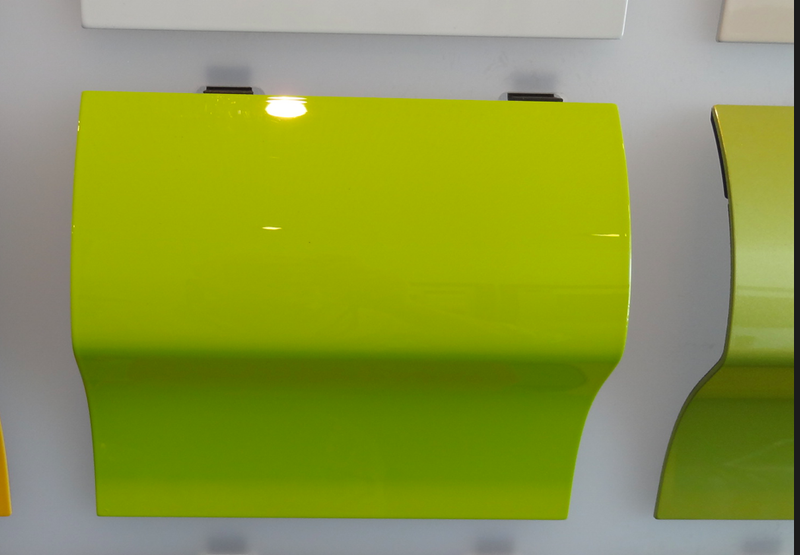 Attached (photo #1 & #2) is the official 'Lichtgrün/'Birch Green' color sample (front & back) from the wall at the 'Porsche Exclusive' office at Zuffenhausen, right next to the European Delivery area! 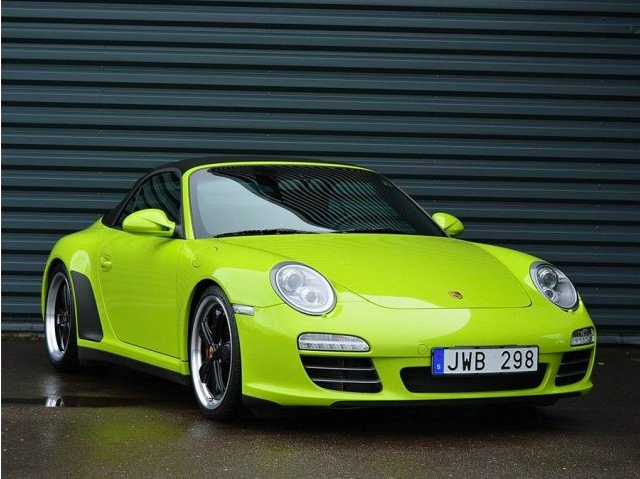 Notice that it's marked 'Light Green' in English, although they admitted to me that it really should be called 'Birch Green', which is the historic old-timers 911 English name for this color. 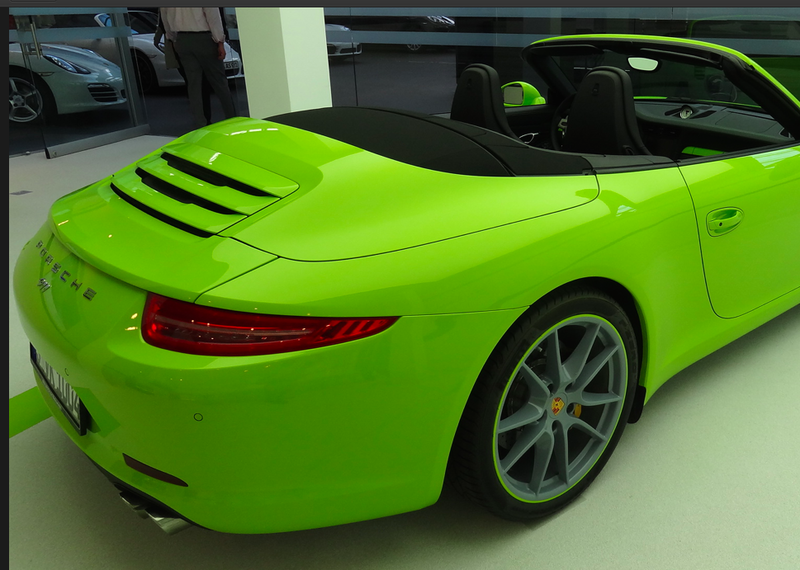 At least one Rennlister, JUPJAY from Canada, is ordering his MY2015 991 Targa in this exquisite color! He recently sent me these two shots (photo #3 & #4) of a PTS .2 997 cabrio custom ordered in 'Lichtgrün' in Europe several years ago. It has now become his new Rennlist avatar! 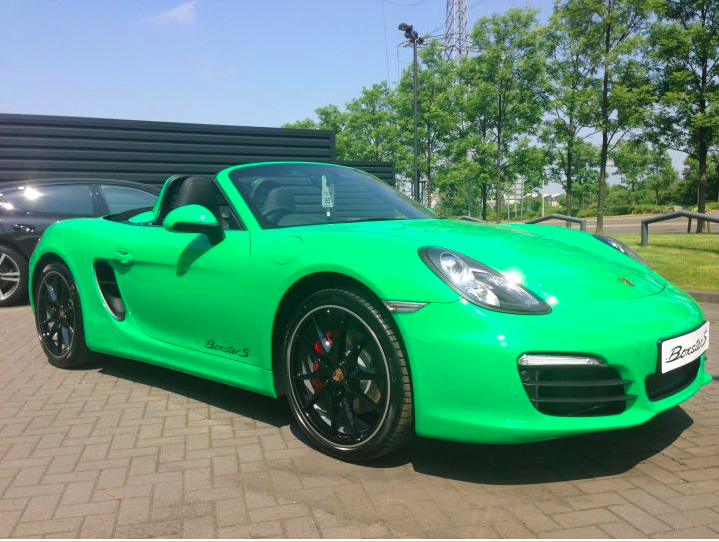 According to some, 'Lichtgrün' is not to be confused with a similar hue 'Acid Green' also used by Porsche. 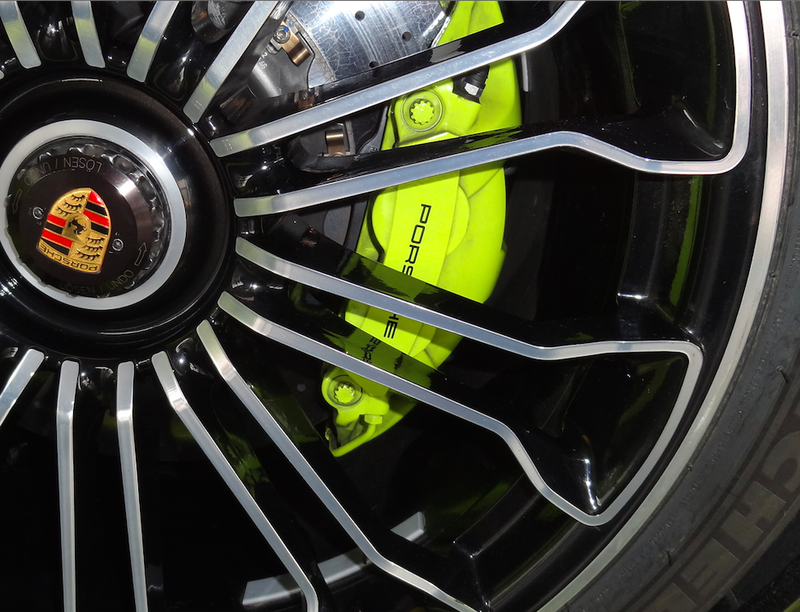 The latter is reserved for the calipers of each & every 918 Spyder (photo #5) that will be produced. 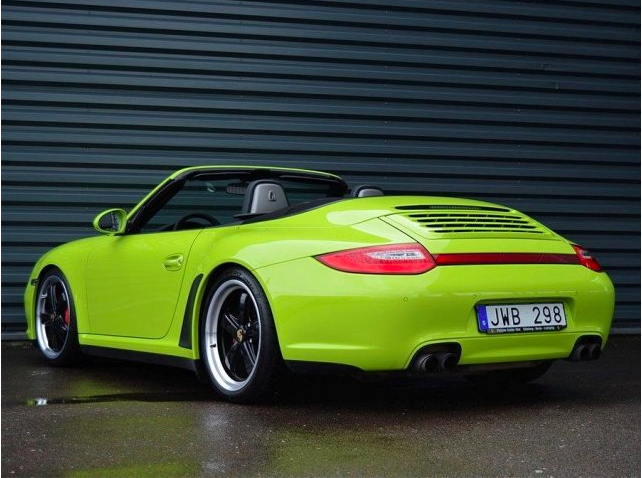 To me 'Acid Green' looks very close to 'Lichtgrün'...if not identical. 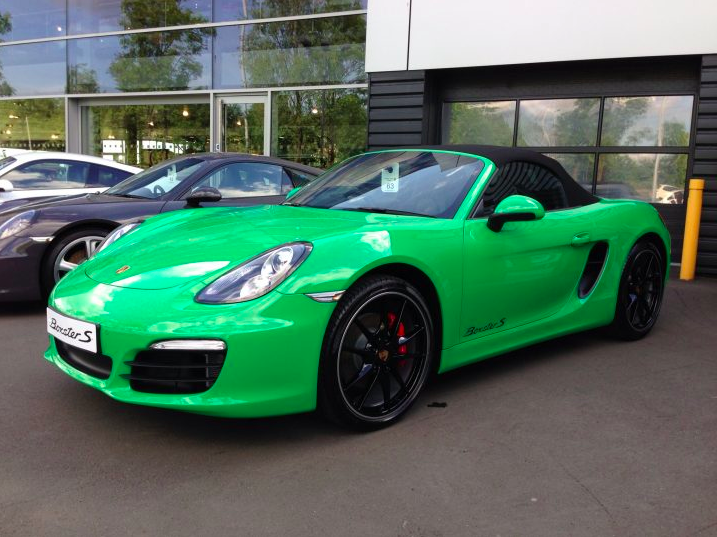 According to Melissa Witek (Porsche Exclusive/NY), whom I talked to at the 918 test drive at The Thermal (CA) last November, at least one US customer has custom ordered his 918 Spyder in PTS 'Acid Green'! 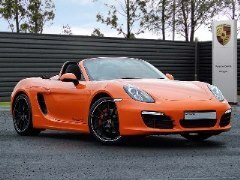 Personally, I think this PTS 918 will be one of the most attractive & desirable Spyders to own! 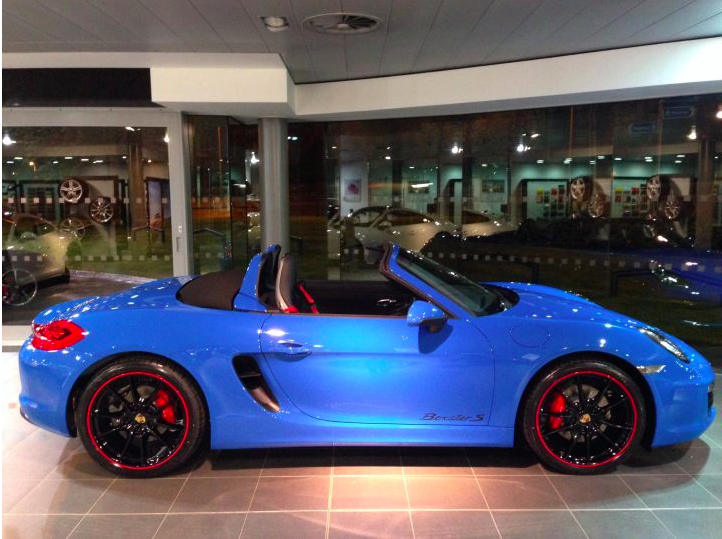 Big ups to Glasgow Porsche... stunning colors.